A Chinese couple has revealed how they paid to have their child delivered in the US so that he would be eligible for American citizenship – a practice Donald Trump has vowed to scrap. SBS Mandarin has spoken to a Chinese national who said he paid ¥350,000 (A$70,000) to an agent and a consulting company in 2016 to set up a trip to the US for his wife to give birth. Mr Liang*, who lives in central China, said he’s currently in the process of retrieving US citizenship for his son following the birth. 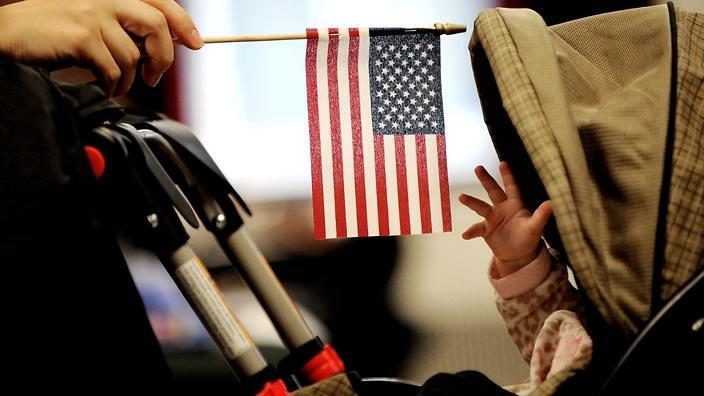 US citizenship is guaranteed to anyone born on American soil under the 14th amendment of the constitution. Citing his desire to provide a brighter future for his son, Mr Liang said he signed a contract with the company in China, who organised a stay for his heavily pregnant wife at a Los Angeles “maternity centre” – a facility he described as a private boarding house. “Someone would cook meals for pregnant women and their family members or escorts,” Mr Liang said. Mr Liang’s account comes following US President Donald Trump’s pledge to change the US constitution in order to stop “birth tourism”. Trump singled out China as benefiting significantly from the “lunatic policy”. “This policy (birthright citizenship) has even created an entire industry. 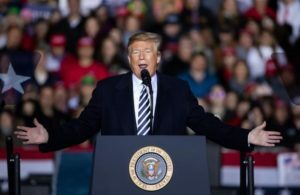 It’s called birth tourism, where pregnant mothers from all over the world travel to America to make their children instant lifelong citizens with guaranteed everything,” Trump told his supporters at an election rally in Missouri on October 31. Mr Liang said he was inspired to undertake the trip by a friend who referred him to the agent, who helped the couple obtain visas to travel to the US. “I was inspired by my friend in around 2015 to 2016 as giving birth in the US became more popular. The other reason is that I studied and worked in Australia for more than five years and I got an in-depth understanding of the Western education system and environment,” he said. Mr Liang said the consulting company in China provided a “service package” which included Chinese travel documents and a passport application for the newborn baby. “The company sold us to the US facilities. From my view, the contract I signed may be in a legal grey area in the US. If there was something that happened, it was hard to ask compensation, because we cannot guarantee the contract is valid in the US,” he said. “Our child will obtain US citizenship automatically as he was born in there. According to Chinese law, if the parents are Chinese citizens then the child will be recognised as a Chinese national. Therefore, our child has a kind of dual citizenship. Mr Liang confirmed he had already applied for visas to travel back to the US, and said they were considering a permanent move. How do Australia’s ‘birthright’ laws compare? Practices in the US are vastly different to those in Australia, law lecturer at Western Sydney University Jason Donnelly said. “The Australian citizenship act mandates that if the baby born in Australia has a parent who is an Australian citizen or a permanent resident in Australia, then the child will have a statutory right to Australian citizenship,” Mr Donnelly told SBS Mandarin. “However, if the baby born in Australia to parents who are not Australian citizens or permanent residents of Australia, they are not entitled to citizenship by reference to the birth at all. Mr Donnelly said Australia’s visa subclasses provided an “indirect deterrent” to anyone looking to purposely give birth in this country. “Laws in place indirectly look at what is often called the genuine criteria, which is attached to a whole range of subclass visas, whether they’re visitor visas or business visas,” he said. “The minister of home affairs looks closely at the reason and purposes that non-citizens seek entry into Australia, and if there’s some evidence to suggest that they’re not here for a genuine purpose, then it would be a basis to refuse entry to our country. “So indirectly, Australia does have reference to examining the purpose or object for which a non-citizen seeks entry into the country. Apart from the US, only around 30 other countries allow similar “right of the soil” or “jus soli” citizenship; most at least require one or both parents to also be citizens. Birthright citizenship is common in Argentina, Mexico, Canada, Chile and Ecuador, but it usually doesn’t apply for children born to military personnel or foreign diplomats. One exception is Colombia where citizenship can be granted if the parents are citizens or can prove they were residents at the time of birth. Outside South and North America, Pakistan is one of the rare countries to grant “jus soli” citizenship. It established this right in 1951 for any person born there after that date, apart from children of foreign diplomats and “of enemy alien born”, which is taken to mean India.